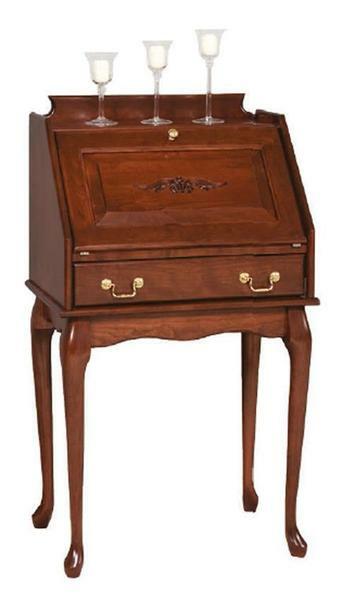 Handcrafted from premium North American Hardwoods by skilled Amish craftsmen, this beautifully crafted Queen Anne Style Secretary Desk is sure to be the centerpiece of any room. Your work space essentials will be more organized and you will be more productive with this stunning piece of Amish solid wood office furniture as the next addition to your home furniture collection. Stool Sold Separately product #3609.
takes great pride in the products you put out....you can see it in the quality of how it is made.